Halal supply chains are vulnerable due to their credence quality attributes, importance of maintaining halal integrity throughout the supply chain, essence of avoiding doubt, lack of control of food norms, and sensitivity of the Muslim consumer towards halal. These vulnerabilities make halal supply chains complex to design, manage, and optimise. Transparency of halal supply chains is needed in order to ensure trust and authenticity of a halal brand. The principle of a shared database that is safe, open and verifiable without a central operator is an attractive proposition to embed trust and authenticity for halal food, cosmetics, home care, and pharmaceuticals. 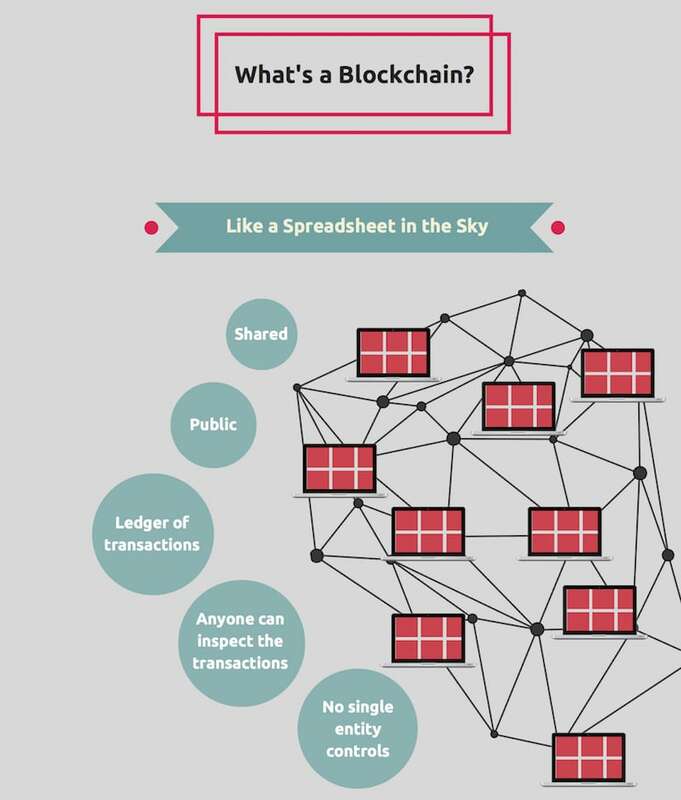 Blockchain is the main technology behind Bitcoin. Blockchain is already called the Fourth Industrial Revolution. It is a digital public ledger containing stringed data blocks with information, similar to our DNA. It is not stored somewhere centrally, but distributed on many servers throughout the world. Blockchains are encrypted and automatically synchronised in the distributed blockchains and makes them a trusted public ledger that everyone can inspect, but no single user controls. The combination of the distributed ledger technology with smart contracts, contracts between supply chain partners that ensure halal compliance in each link in the halal supply chain, has the potential to create high performance halal supply chain networks. What are Challenges with Current Halal Supply Chains? A large discussion group on halal blockchains was held with the captains of industry on 15 May 2017 at Universiti Malaysia Pahang in Kuantan (Malaysia) organised by the Faculty of Industrial Management. This large discussion group showed that halal supply chains have inherent problems or flaws, namely in (1) traceability (ability to verify the location of a product) and organising product recalls; (2) transportation and warehousing (storage) compliance downstream the supply chain in accordance to halal requirements; (3) end-to-end chain integrity (unbroken chain): from source to point of consumer purchase; (4) different halal systems and interpretations of different markets; and (5) lack of integration of information technology systems. These problems require a radically different approach to how halal supply chains are orchestrated. Halal blockchains have the potential to solve all of the above halal industry problems! A halal blockchain is a digital ledger of all halal supply chain transactions that have ever been executed. It is constantly growing as ‘completed’ blocks are added to it with a new set of transactions. The blocks are added to the blockchain in a linear, chronological order. Each node in the halal supply chain network gets a copy of the blockchain, which gets downloaded automatically upon joining the halal supply chain network. The halal blockchain has complete information about the addresses and their supply chain path right from source to the point of consumer purchase. As the halal blockchain database is shared by all nodes participating in a halal supply chain network, information is easily verified by just scanning the QR-code (a two dimensional barcode) on a product. Blockchains pre-program the halal requirement of the destination market, such as: halal production certificate requirements, halal storage-transportation terminal handling terms, coding of halal on freight documents, and many more. In a blockchain you can easily identify the parties that committed fraud, as this remains visible. This discourages the industry to commit fraud in halal supply chains. At the same time it allows rating of halal logistics service providers, distributors, and other supply chain participants based on the performance of their services. The main principles of halal blockchains are; first of all, that halal blockchain incorporates different Mazhabs of the destination market, in particular the Islamic school of thought, fatwas (religious rulings), and local customs. Halal blockchains should be relevant for both Muslim and non-Muslim countries. Halal certification requirements of the destination market and mutual recognition are hereby critical design principles for halal blockchains. Supply chain participants are automatically aligned and informed on process compliance based on the specific product-market scenario. Authenticity and security of halal blockchains are top priority to protect confidential information and minimise chance and impact of cyber attacks. Smart contracts are pre-agreed autonomous programs that define supply chain relationships as well as automatic actions. In case of halal issues the blockchain system triggers automatic immediate action based on the smart contracts terms set, for example: initiating a product recall, internal & external communication, information of halal authorities, etc. Automatic action reduces lead-times in resolving halal issues, thereby reducing reputation damage. Performance measurement of halal supply chains and its participants is critical to ensure high performance supply chains. This requires first of all a classification of halal blockchain participants in terms of halal assurance system: local and international halal certificate; local or international halal certificate; halal assurance system in place; no halal assurance system in place. Second, the actual halal performance needs to be measured in areas of efficiency, effectiveness, and robustness. Manufacturers, brand owners, and retailers benefit with halal blockchains, in particular through transparency of supply chain, synergy advantages through vertical and horizontal collaboration, standardisation of halal assets, and more effective risk and reputation management. Logistics service providers and distributors benefit with halal blockchains, in particular through long term customer relations, make better use of halal assets, consolidation of halal cargo and new value added logistics & services, digitalisation of paper flows, and more efficient payment settlement. Halal certification bodies benefit with halal blockchains, in particular through easy auditing of halal supply chains and faster support for industries in case of a halal issue or crisis. Halal blockchains provide clear advantages for manufacturers, brand owners, retailers, logistics service providers, distributors, and halal certification bodies. For a better trust and authenticity of country’s halal brands, halal certification bodies should embrace this new technology to support the halal industry in case of a halal issue, or worse, a halal crisis. They should support the halal certification of logistics service providers, distributors and retailers in order to facilitate a higher compliance in transportation and warehousing downstream the supply chain. Harmonisation and standardisation of halal supply chain standards in different jurisdictions are essential in the coming years to better support halal industries and their global supply chains.